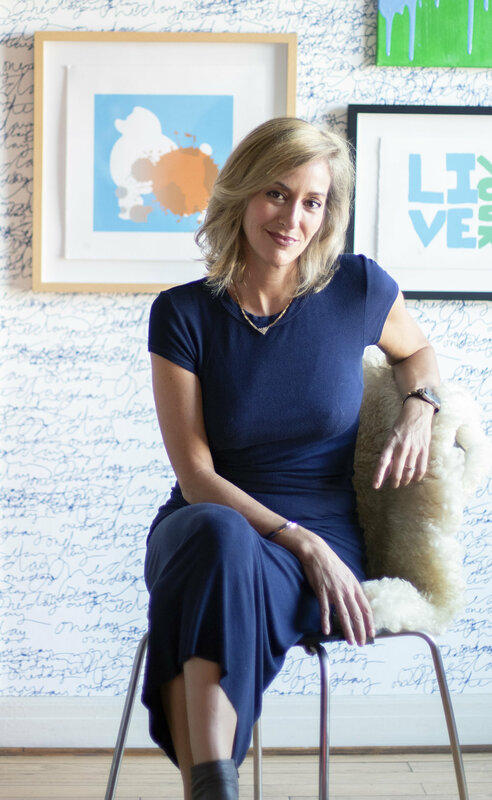 Born in Brooklyn, New York, Ginna Christensen, the daughter of two entrepreneurs, grew up knowing that innovation and the arts would play a central role in her professional and personal life. Ginna started her career in the fashion industry, working in merchandising and marketing for Giorgio Armani, Ellen Tracy, and Emanuel Ungaro. Her attention moved to art and interiors in early 2000 when she joined the team at T.I. Industries, a company that manufactured wood moulding for the picture frame and furniture industries. Starting as the company's North East Regional Business Development Manager, Ginna quickly grew into a more creative role designing product, as well as the company’s trade show displays. Ginna’s career shifted once again when she moved to Los Angeles in 2004 and got her start in the rug business with Aga John. As the VP of Sales and Product Development, she helped reinvigorate the high-end rug company, forging deals with companies like Pottery Barn and Williams Sonoma Home. In September of 2013, Christensen joined the Los Angeles-based team at Woven as Creative Director. In her three-plus years with the company, she implemented programming, produced events, and created business development strategies which resulted in increased sales revenues, regional and national press coverage, and the launch of Woven at Design Within Reach. Sought after for her cool and creative solutions to the challenges of modern businesses, Christensen launched GC Collaborative in 2017. The boutique consulting firm specializes in helping brands identify their differentiating point in the marketplace and creates strategy recommendations that allow them to STAND OUT. While Ginna now calls NYC home, the creative is bi-coastal and working with clients in both New York and California.